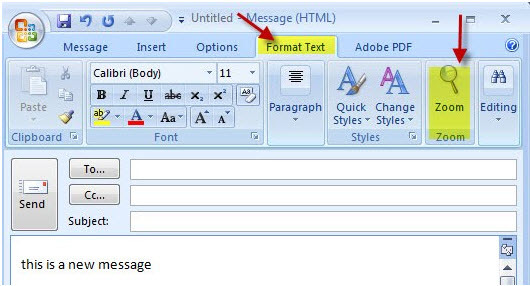 It happened today … I was working on my emails in Outlook 2007 and everything seemed to be OK till I have clicked reply and the font in the message was suddenly huge. Strange enough that this was only happening if new email message is being created or in reply to received messages. If clicked on the received email, it shows fine in reading panel and with correct font size 10.